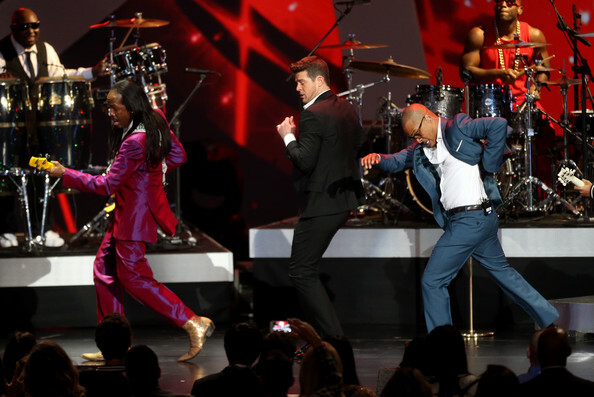 (L-R) Recording artists Verdine White, Robin Thicke, and T.I. perform onstage during The GRAMMY Nominations Concert Live!! Countdown to Music's Biggest Night at Nokia Theatre L.A. Live on December 6, 2013 in Los Angeles, California.